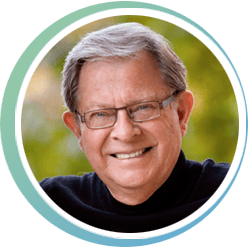 Dale Warland, celebrated American musician, has made an indelible impression on the landscape of contemporary choral music both nationally and internationally. During his time with the Dale Warland Singers, he shaped a vocal ensemble known for its exquisite sound, technical finesse, and stylistic range. From that platform, Warland not only mastered the traditional repertoire, but also commissioned over 270 new choral works. The music world bestowed its highest honors on Warland, the most recent including the Weston Noble Award for Lifetime Achievement in Choral Music (2010) from the American Choral Director’s Association; the Cultural Leadership Citation Award from Yale University (2010); the Robert Shaw Award in Choral Music (2007) from the American Choral Directors Association. Other prestigious awards include: a Grammy nomination for Walden Pond; the ASCAP Victor Herbert Award; the McKnight Distinguished Artist Award and the Michael Korn Founder’s Award and others. Since the closing of the Dale Warland Singers organization Warland has continued to remain active as guest conductor, composer, teacher, and producer of choral programs for public radio. Warland is committed to sharing his knowledge about the choral arts and has served on many panels and juries both nationally and internationally. He has lectured on American Music at the Sibelius Academy in Helsinki and most recently has been guest faculty at the University of Utah, the University of California at Fullerton, Azusa Pacific University, Yale University and North Dakota State University. Warland’s compositions and arrangements have been performed and recorded by choruses throughout the country. As editor, he has established choral series with G. Schirmer, Hal Leonard, earthsongs, Colla Voce, and Walton Music. Recordings of Dale and the Dale Warland Singers are available through www.gothicrecords.com. More information about Dale can be found at www.dalewarland.com. treble choir, Difficulty : 2, piano, 5-10 min. mixed choir, Difficulty : 3, piano, 5-10 min.